Could Nepal Return to Monarchy? Will the rise of the Bharatiya Janata Party (BJP) in India embolden forces in Nepal pushing for the restoration of the Nepalese monarchy, abolished in 2008 after a Maoist uprising? The restoration of the Nepalese monarchy is certainly more likely today than would have seemed the case after 2008, due to the country’s continued political chaos. The BJP, which has its roots in Hindu nationalism, has always been more sympathetic towards the Nepalese monarchy than India’s Congress Party. Major BJP figures such as Lal Krishna Advani and Rajnath Singh have lamented the abolition of Nepal’s monarchy and advocated for its restoration. Nepal’s former kings were the world’s only reigning Hindu monarchs and Nepal the world’s only Hindu state. India’s previous government, under the Congress Party, was heavily involved in Nepal’s shift to democracy, which is widely seen as having caused chaos there. Since the abolition of Nepal’s monarchy in 2008, Nepal has not been able to form a stable government or write a permanent constitution. Nepal’s 2007 interim constitution mandated the creation of a permanent constitution by 2010, but one has not yet been written. A second Constituent Assembly for writing the new constitution was elected in November 2013 but so far, little progress has been made on drafting the new document. Nepal is deeply divided between different political factions including secular liberals, Maoists, mainstream Communists, and royalists among others, all of whom have difficulty cooperating. There are also numerous ethnic tensions in the country. All these factors make writing a new constitution an exceeding slow and arduous task, as it is difficult for these diverse factions to forge a consensus. Enter here increasing support for the restoration of the monarchy. India has significant influence within Nepal, and if actors feel as though India no longer advocates a democratic state or stands in the way of the restoration of the monarchy, this idea could gain currency. As I argued earlier, monarchies can serve a useful purpose in the present day in certain countries, and Nepal is one of them. Monarchies can often unite multiple ethnic groups, provide healing after long conflicts — as in Cambodia — or serve as neutral actors above politics, all of which would be useful in Nepal. Nepal, was after all, cobbled together in 1769 from numerous petty kingdoms by the erstwhile Shah Dynasty, which ruled the country’s diverse peoples for almost all of its history until 2008. The Shah Dynasty was widely seen as a provider of regional stability in both Nepal and India as a symbol of unity within diversity that held Nepal together. The fourth largest party in Nepal’s Constituent Assembly, the Rastriya Prajatantra Party-Nepal (RPP-N) is a traditionalist and royalist party with ties to Hindu nationalist groups in India. The party strongly advocates the restoration of the monarchy. The party’s leader, Kamal Thapa, has argued that there is some support among the leaders of Nepal’s other major parties for the establishment of a constitutional monarchy, though the restoration of a more traditional monarchy is unlikely. This may establish at least some legitimacy and stability for Nepal’s struggling government as it tries to sort out other constitutional and legal issues. 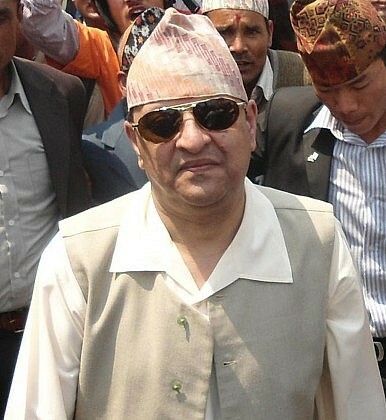 Nepal’s increasingly prolonged transition to democracy and the failure of its politicians to draft a new constitution has indeed contributed to the former King Gyanendra’s increasing popularity and support and may make the monarchy’s restoration possible in the near future.